Nigerian-born Mixed Martial Arts star, Israel Adesanya has beaten UFC legend, Anderson Silva in a title leading fight on Sunday. The Kiwi middleweight sensation remains unbeaten in the octagon after defeating Silva in the main event of UFC 234 in Melbourne. The fight went to the scorecards after going the full three-round distance but it was Adesanya that got the win via unanimous decision. In his post-fight interview, “The Style Bender” said fighting Silva was like fighting his idol. “If I’m playing basketball this is like playing Michael Jordan,” he said. Adesanya and Anderson’s fight was promoted to be the main event after the Melbourne card was thrown into turmoil early on Saturday evening when Kiwi-born Australian middleweight champion Robert Whittaker had to withdraw due to due to a “freak” abdominal injury. The 29-year-old Adesanya, who is 14 years younger than Silva, gave an outstanding performance against the 43-year-old Brazilian. Adesanya landed 65 of 132 attempted significant strikes. Silva landed just 31 of 72 significant strikes. The tactical battle went up a few gears in the third and final round when the pair exchanged heavy shots. 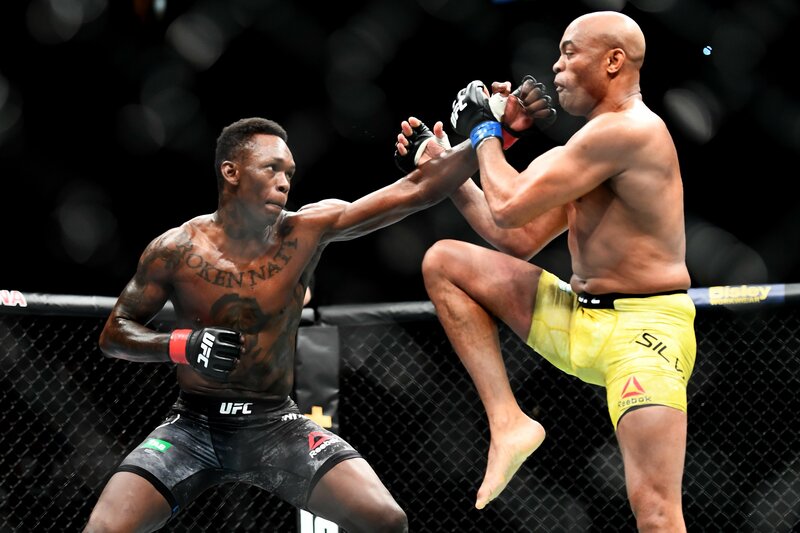 Adesanya got the better of the exchanges – as he lowered the defence of Silva with his low kicks and bodywork – to land some crushing shots to the head. Whittaker’s title defence against Kelvin Gastelum was canned but UFC president Dana White confirmed after Adesanya’s victory that Whittaker would hold the belt “for now”. Adesanya has been chasing a trans-Tasman fight with Whittaker and the Nigerian-born fighter was booed by the Australian crowd when he referenced Whittaker as “not turning up to work”. It has been revealed Whittaker could have died if he had fought on Sunday. He is expected to be out of training for somewhere between four to six weeks after the incident.